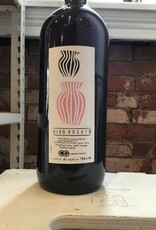 100% indigenous Aglianico aged in porcelain anfora. "Cantina Giardino was born as a joint venture between six friends with the specific aim of preserving old vineyards and native varietals in and around Irpinia, a mountainous town in the heart of Campania. Headed by Antonio and Daniela di Gruttola, the project sources fruit from 16 distinct and often quite distant parcels. In total this represents about six hectares including a 2,5 ha plot that the couple recently purchased. From the beginning, the aim has been to source older vines (50+) from contadini who have been working traditionally for generations, but were at risk of having to abandon or uproot their land. 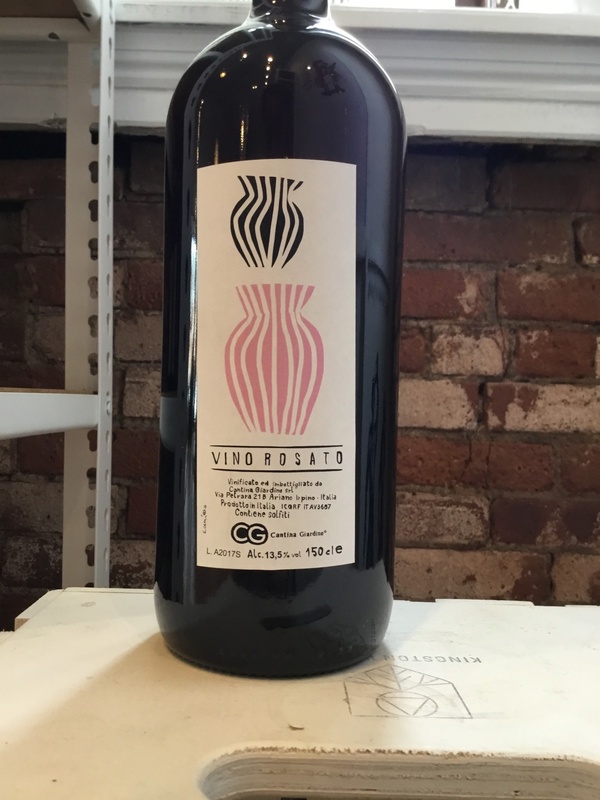 The indigenous Aglianico, Coda di Volpe, Greco and Fiano grapes are used to make a wide, ever evolving range of reds, whites and rosé, all bottled under colorful and extremely recognizable labels designed by a tight-knit crew of local artists. Vinificaton is an instinctual, unique process each vintage: Antonio currently owns a wide array of aging vessels, including oak and cherry tree barrels, demi-muits, stainless steel tanks, fiberglass and amphoras home-made by Daniela. Each year, the wine ends up where Antonio feels it needs to be. Longer elevages are typical for the Aglianicos, as is skin contact for the whites, although again both vary from wine to wine, vintage to vintage. In rare cases and if deemed necessary, a small dose of sulfur is added at bottling. Otherwise the wine is bottled as-is."